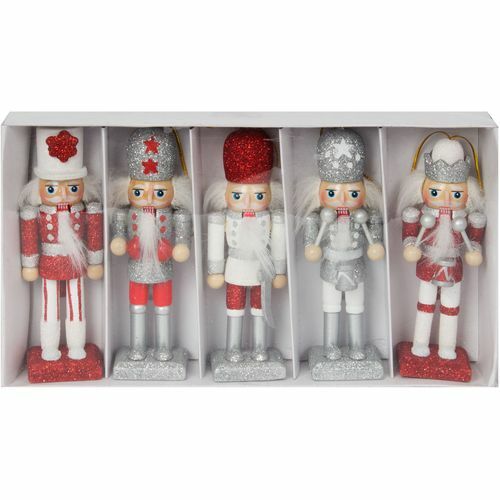 These traditional Nutcracker wooden Christmas tree decorations are painted in silver,red and white with glitter detail. They have a gold cord for hanging. Approx height of each 13.0cm. Supplied in their own storage box.